Problem areas such as your abdomen, love handles, and thighs don’t always slim down when you lose weight with diet and exercise. 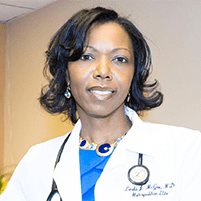 At Metropolitan Elite Family Practice in Laurel, Maryland, Dr. Linda McGee offers noninvasive body contouring to help you get the physique you want without surgery. Call the office or schedule an appointment online to learn more. At Metropolitan Elite Family Practice, the team offers SculpSureⓇ, a noninvasive laser treatment that zaps fat cells in targeted areas. The fat cells are permanently destroyed and can’t swell up again in the future. You can contour trouble areas such as your belly, flanks, and thighs with SculpSure. The procedure is not designed for comprehensive weight loss, however. You should be close to your normal weight to get the best results. SculpSure delivers laser energy beneath the surface of your skin to heat up fat cells. The heat disrupts the integrity of fat cells so they die and are evacuated through your normal waste-removal processes. SculpSure is FDA-cleared, safe, and quick. A session takes just about 25 minutes. A SculpSure session can be scheduled during your lunch hour and you can return to work or school right afterward. You can also resume all regular activities after treatment, too. The treatment results in few side effects, aside from some skin reddening which dissipates within a few hours. How many SculpSure sessions will I need to see results? A single session of SculpSure destroys up to 24% of fat cells in a targeted area. Some people see the best outcome after multiple sessions. Dr. McGee can decide how many treatments you need and set up a customized plan for you. Does SculpSure body contouring hurt? When the applicators that emit the laser energy are applied to your skin, you feel periods of warmth and tingling. Most people tolerate the sensations quite well and report no pain. How soon will I see results from SculpSure treatments? Your body needs some time to break down and eliminate the damaged fat cells. You’ll notice some mild results after about six weeks and optimal results in about 12 weeks. How long do the results of SculpSure body contouring last? The results of SculpSure are permanent. The fat cells are destroyed for good and can’t reproduce or swell up. A healthy lifestyle helps preserve your long-term results because other fat cells in your body can swell and cause weight gain. 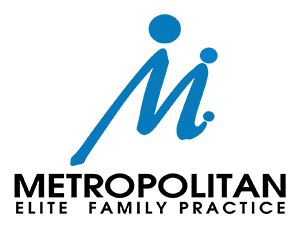 To learn how you can achieve a slimmer, more shapely physique with SculpSure body contouring, call Metropolitan Elite Family Practice or schedule an appointment using the online tool.